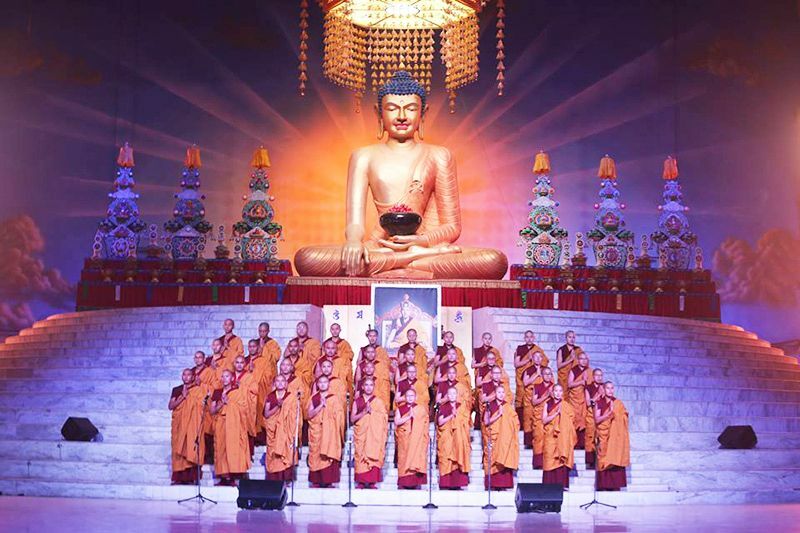 Each year, monks and nuns attending the Kagyu Monlam Chenmo in Bodhgaya live in tents— the Garchen or Great Encampment— an ancient Karma Kamtsang tradition which was reinstated by the 17th Karmapa, Ogyen Trinley Dorje, in December 2012. 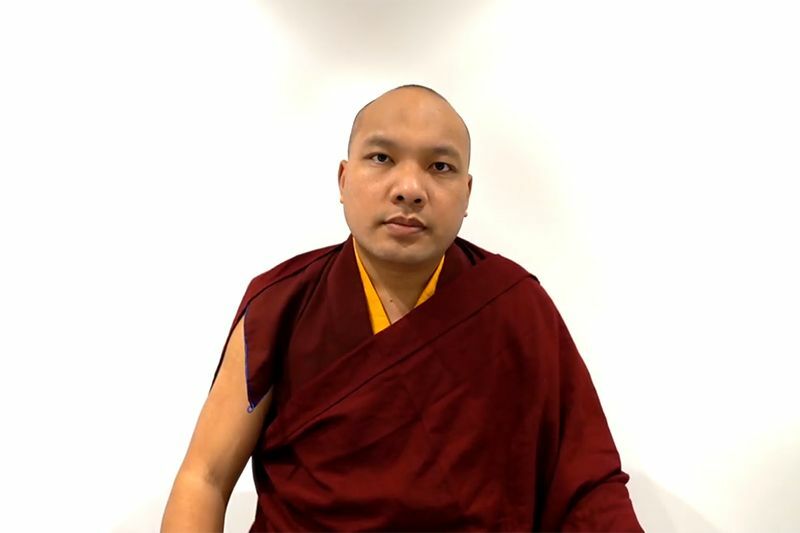 A year ago, the Gyalwang Karmapa offered accommodation in the Garchen to thousands of monks from South India who stayed in the encampment during the Kalachakra Empowerment. 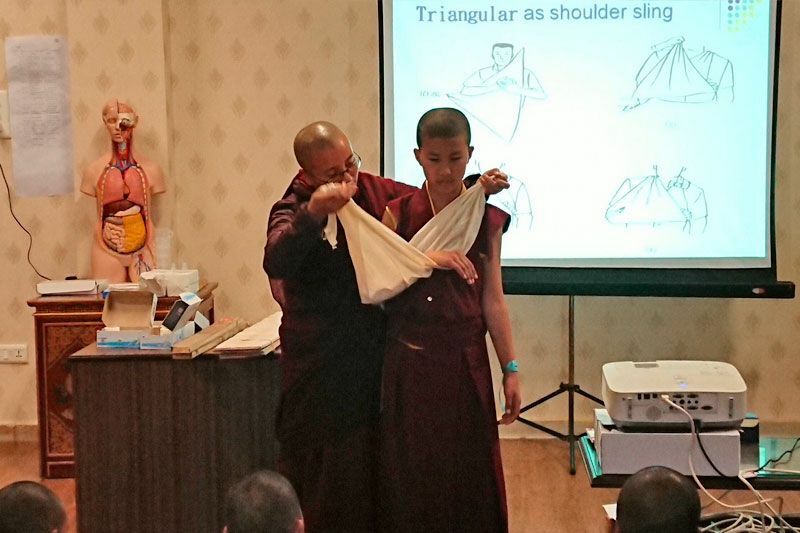 Once again, two months in advance of the Kagyu Monlam, more than 200 tents have been erected in order to provide accommodation for approximately 3500 monks, this time at the request of the monasteries themselves. The monks come mainly from the three great Geluk monastic universities of South India, Ganden, Sera and Drepung, but also from Tashi Lhunpo and other Geluk monasteries. 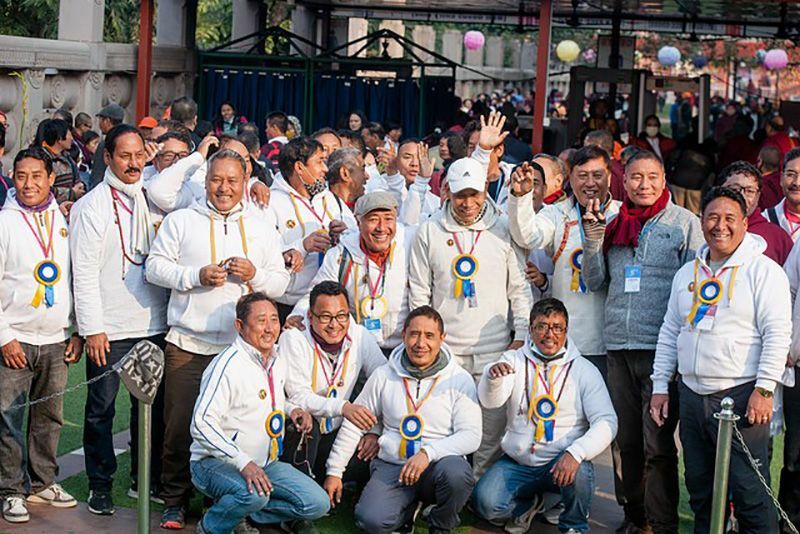 They will be attending the Grand Geluk Monlam and the Winter Debate Session [Jang Gunchö] to be held in Bodhgaya from 28th December 2017 until 20th January 2018. His Holiness the Fourteenth Dalai Lama will also be in Bodhgaya during the winter and will give two sessions of teachings. 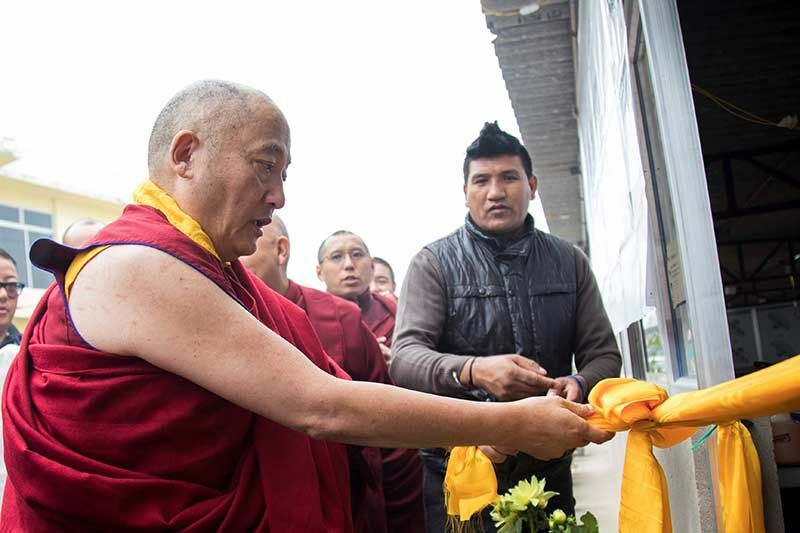 So, in addition to tents for the monks, dormitory enclosures have been set up within the Kagyu Monlam Pavilion for pilgrims and lay practitioners who will be visiting to attend His Holiness’ Dalai Lamas’ Dharma Teachings. A few hundred beds have been prepared so far, but more will be added later if needed.